Arriving at the correct diagnosis sometimes follows a short and simple journey. Consider the classic case of shingles, for example, where the one-step process consists of recognizing the tell-tale pattern of vesicular lesions. Contrast the rash of shingles with the more elusive symptoms of chest pain, headache, or weakness, which usually require a multi-step approach to reach the correct conclusion.As clinicians, we were all taught the “diagnostic process” in some shape or form. What we didn’t always learn is that each step in the process is accompanied by potential missteps that can take us down the path to misdiagnosis. The more steps along the way, the more chance for errors to occur. The persistent problem of diagnostic error mandates that we take the time to relearn the diagnostic process along with the cognitive and system errors that commonly occur at each stage. Ultimately, avoidance of medical mistakes starts with awareness, education and metacognition, followed by sustainable changes in those clinical behaviors that improve diagnostic performance and reduce errors. The 2015 report from the Institute of Medicine, “Improving Diagnosis in Health Care,” has outlined a model of the diagnostic process, as has CRICO Strategies in its “2014 Annual Benchmarking Report.” Both models describe the 10 to 12 components that comprise the process and discuss the inadequacies and errors that may plague each step. Of particular interest is the data from CRICO that analyzed over 2,300 malpractice cases and determined the frequency of error associated with each step in the diagnostic process. The trends that emerged from this analysis provide valuable information for clinicians and patient safety professionals. The CRICO claims analysis found that 58% of the malpractice cases involved failures in the first category of initial diagnostic assessment. It is at this stage where a misdiagnosis often starts - when a clinician fails to carefully listen and elicit a thorough history that includes all medications, surgeries, medical conditions, family and social history. At the same time, the clinician may inadequately evaluate the chief complaint and history of present illness by failing to review risk factors for high-risk conditions such as heart disease, abdominal catastrophes and malignancies. The next step is to integrate the information gathered from the chief complaint, history, exam and risk factors into a differential diagnosis. This phase of the diagnostic process is arguably the most critical because errors that occur during the earlier steps (history, exam, symptom evaluation) are compounded and result in a differential diagnosis that is either too narrow or simply off target. 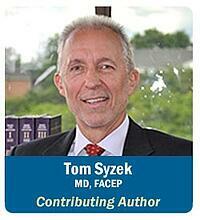 It is at this juncture where clinician biases and cognitive errors predominate over identifiable system errors. Incomplete or bad data from the history and exam are processed mentally and can result in faulty medical reasoning; “Garbage in, garbage out,” as the saying goes. Mistakes in judgment made at this point can serve to derail the entire diagnostic process, and unless a disciplined redirection occurs down the line, the correct diagnosis may be delayed or missed, with serious consequences to the patient’s outcome and safety. 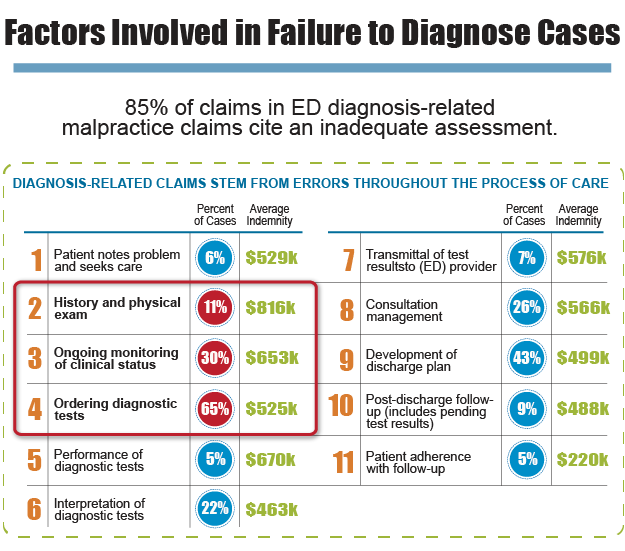 More malpractice cases involve errors at the differential diagnosis step (33% of cases) than at any other step in the process, with errors in test ordering coming in a close second (30%). It should not be difficult to see why these 2 steps are at the top of the list. An incomplete or erroneous differential diagnosis leads to ordering of the wrong imaging and lab tests, which in turn leads to the wrong answer, wrong treatment, and an undesired outcome. The IOM report, while pointing out that there is no single solution, listed 8 “Goals for Improving Diagnosis and Reducing Diagnostic Error,” with an emphasis on education and training for all healthcare professionals in areas deemed to be deficient, including clinical reasoning, teamwork, communication, and the use of diagnostic testing and health IT. 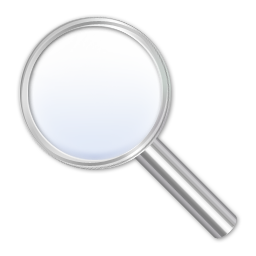 A good place for clinicians to start is to revisit the diagnostic process and carefully dissect each step to reveal not only its benefits, but also the hazards that lead to errors along the way. CRICO Strategies. 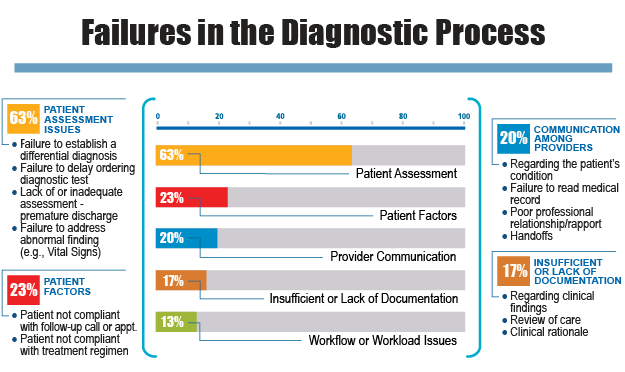 2014 Annual Benchmarking Report, Malpractice Risks in the Diagnostic Process.